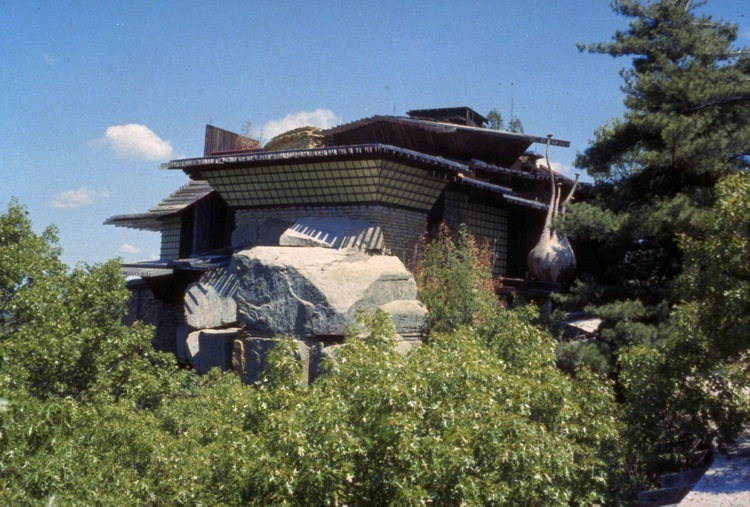 A four-walled testament to the peculiarities of hoarding and mania, the “House on the Rock” is a tourist attraction located in Spring Green, Wisconsin. In a moment of explosive creativity–or dejected architectural aggression– Alex Jordan Jr. broke ground on a 60 foot chunk of rock to create a Japanese-style home. 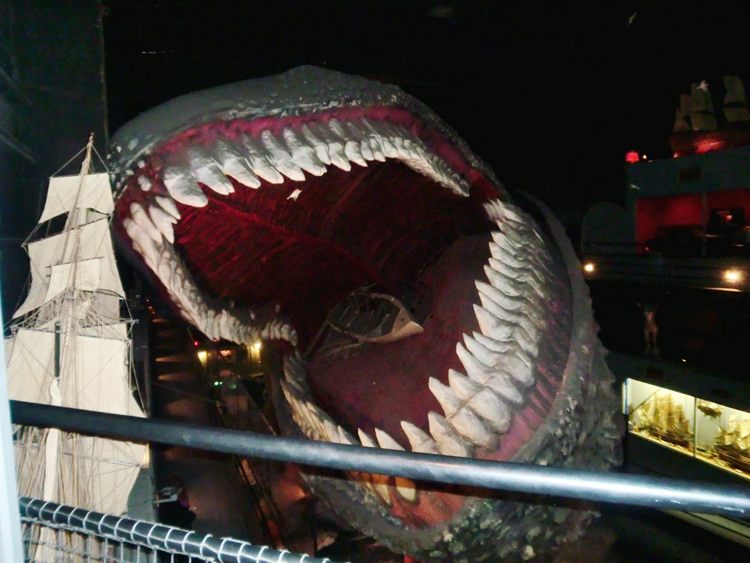 Seven years later, Jordan and his crew opened the bizarre building’s doors to paying visitors. 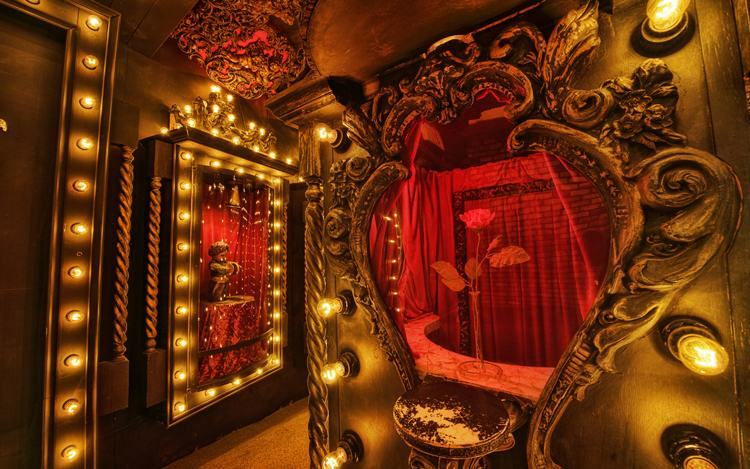 Today, the house features 21 bizarre rooms on exhibit. But Jordan’s architectural gem may never have come into existence were it not for a sorry encounter with renown architect Frank Lloyd Wright.Biographers have drawn on a story told wherein Jordan, an avid fan of Wright, presented a design to Wright in a meeting, to which the famous architect responded “I wouldn’t hire you to design a cheese crate or a chicken coop. You’re not capable.” According to Jordan’s biographers, the Wright-berated designer stewed about the dismissal while driving home along Highway 23, where he spotted the chimney of rock on which he would later build. He vowed to construct something that would make Wright eat his words. While a great story, it is very unlikely to have unfolded this way, as all dates on record have Alex Jordan being nine years old at the time, and place Frank Lloyd Wright in Japan – along with other discrepancies. The house also has a home in American literature, Neil Gaiman referenced it as a portal to another world in his novel “American Gods”. 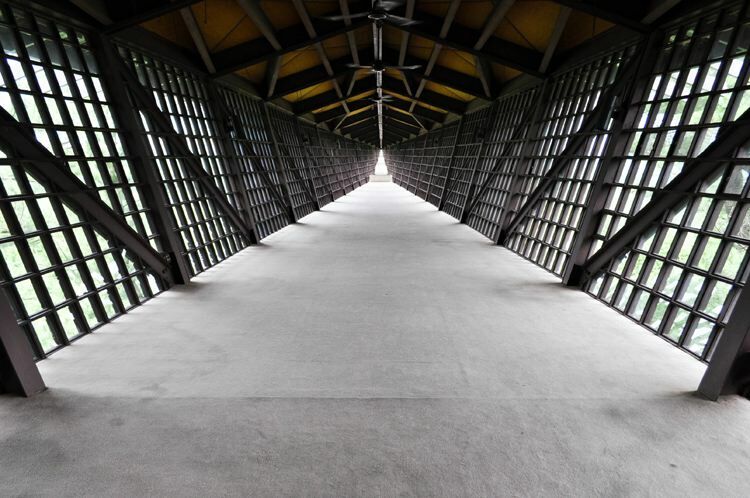 Some of the more fantastical-bordering-on-fictional themed rooms include: The Infinity Room, which juts out from the side of the house features 3,264 windows as walls, the Streets of Yesterday, which has a life size recreation of a nineteenth century village inside of it- complete with a brick road, barber shop, china shop, an apothecary, and other period building reproductions. 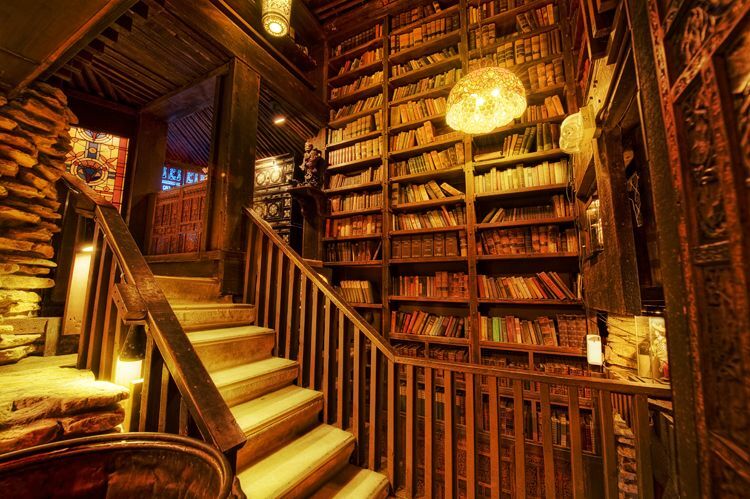 So many books! so many sharp teeth!